Lakshmana murder: Who was on the phone? More arrests are expected in connection with gangster Lakshmana’s killing. Accused Hemanth Kumar called up an unknown individual awaiting confirmation on Lakshmana’s death, the investigation has revealed. Central Crime Branch (CCB) investigating the case found a couple of SIM cards, used for plotting the murder, from Kanyakumari and Kukke Subramanya. The accused had thrown them away to destroy evidence. Police took the accused to those places and recovered the SIM cards. After examining the call records, it was revealed that the fourth accused Hemanth Kumar alias Hemi, had dialed one person and confirmed Lakshmana’s death. The person on the other end of the line replied, “good job”, police said. CCB has so far arrested 12 in the case. Varshini, the prime accused, confessed that from 2014 Lakshmana started misbehaving with her. After he learnt about her love affair with Rupesh, he started threatening her to cooperate. Otherwise, he will inform her parents, he had warned. Thereafter, Rupesh and Varshini hatched a plan to eliminate Lakshmana giving supari. If Lakshmana were alive, he won’t allow them to be together and Lakshmana had plans to eliminate Rupesh, it was alleged. Varshini said she took Rs 1 lakh from Lakshmana and transferred Rs 80,000 to Rupesh’s account for the murder. 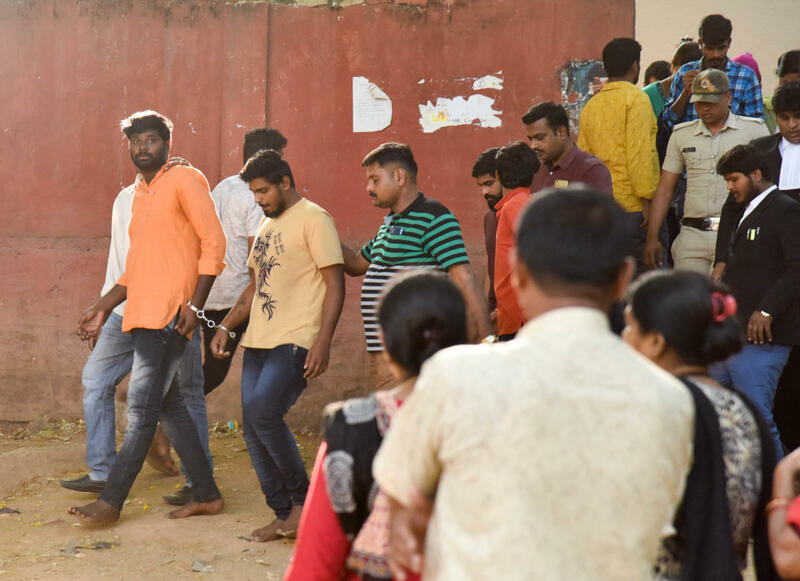 Hemanth, meanwhile, confessed that he accepted the supari as he was in desperate need of money to pay an advocate in Ramanagara to represent him in another murder case, apparently the killing of the rowdy, ‘Ambode’. Another revelation is that Raja, alias Cat Raja, the third accused in the case, accepted the offer to make name in the city and to avenge his gang leader C C Raja’s murder. CCB produced six of the 12 accused -- Rupesh, Varshini, Devaraj, Varun Kumar, Madhu Kumar and Aloka -- before the first Additional Chief Metropolitan Magistrate Court on Monday after fourteen days of police custody. All six were denied bail as investigation is still underway. Public Prosecutor V Venkatagiri said if the accused were granted bail there are chances they may destroy evidence and influence witnesses. Police are yet to gather more evidence. Magistrate V Jagadeesh heard the arguments and remanded all six to judicial custody.